Welcome to the third edition of the IPRT E-bulletin in 2018! In the past two months, work continues on the second year of the ‘Progress in the Penal System’ (PIPS) 2018 project and we expect the launch of this report to take place Friday 26 October at the Irish Human Rights and Equality Commission HQ - so save the date now and further details will be available soon! We are also progressing our project which examines the connections between the care system and the criminal justice system, also to be launched in autumn 2018. The #ratifyOPCAT Campaign also continues, and with the European Committee for the Prevention of Torture coming to Ireland in 2019 there should be a new impetus between now and then to improve prisons and places of detention since the findings of their last report in 2014. IPRT responded to the issue of violence in Irish prisons raised by the Irish Prison Officers Association at its annual conference, emphasising the need for more training in conflict resolution, and that preventing and reducing violence requires a multi-level approach which addresses the root causes of such violence. IPRT, along with representatives from the Irish Prison Service, Oberstown Child Detention School and the National Forensic Mental Health Service, made presentations to the Joint Oireachtas Committee on the Future of Mental Health Care on 23 May on the topic of mental health services in Irish prisons and detention centres. You can view the debate and discussion here, and our submission can be read here. IPRT also made a submission to the Probation Service's Strategic Plan 2018-2020. As I’m sure you are aware, the General Data Protection Regulation (GDPR) came into force on 25 May 2018. As part of our commitment to compliance with the GDPR, IPRT updated our privacy statement and has worked hard to ensure that we have the consent of all of our subscribers to receive communications containing information that is relevant to them. You are receiving this Ebulletin because you have confirmed your consent to do so, and IPRT is pleased to be able to continue to communicate with a committed audience of supporters going forward. There have been a number of changes in the office, with interns Niamh Wade and Anna Devereux finishing their placements, having made great contributions to the work of IPRT. Intern Anna Flynn continues to work with IPRT, and Erin Ward has just started her UCD legal placement. IPRT was very pleased to welcome Deputy Executive Director Fíona Ní Chinnéide, who returned from sabbatical on 5 June, back to the team! IPRT will also welcome a new member to the team - Eoin Delap will start as Development Manager on 25 June. I thank you again for your ongoing support of IPRT, and look forward to keeping you updated on our projects and progress during the upcoming year. IPRT continues to work on commissioned research on the over-representation of children in care, or with care experience in the criminal justice system. The research is being carried out by Dr Nicola Carr (University of Nottingham) and Dr Paula Mayock (Trinity College Dublin). There was a call for submissions, which ended on 23 March 2018, and there was a large response. The research will be launched in autumn 2018, and we will keep you informed of developments. IPRT held a consultation to assist with updating our information booklet ‘Know Your Rights – Your Rights as a Prisoner’, which aims to help prisoners understand their rights while in prison. We launched the first version of this booklet in 2012, in conjunction with the Irish Council for Civil Liberties (ICCL) and we are now seeking to update the material, in a way that's both reflective of any changes in policy and inclusive of all prisoners. 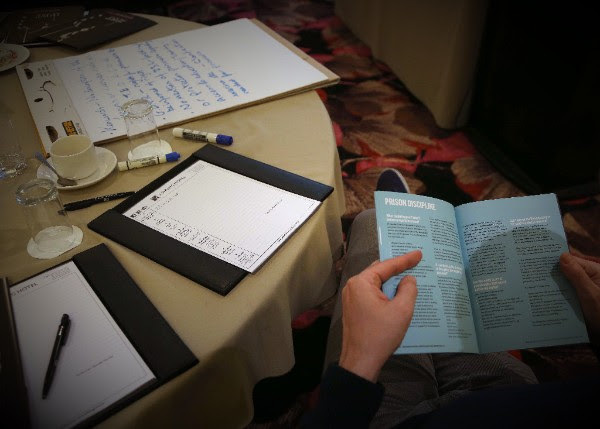 To this end, we held a small consultation with organisations who support prisoners and some service users with experience of imprisonment on 17 May in the Ashling Hotel. This round-table discussion on possible information to include in this booklet was facilitated by Damien Coffey of Sheehan and Partners Solicitors. It was incredibly useful for IPRT to hear the lived experience and realities of those present, and to hear of the importance and impact of these rights. Further consultations will take place with other stakeholders, and we hope to relaunch the booklet in early 2019. 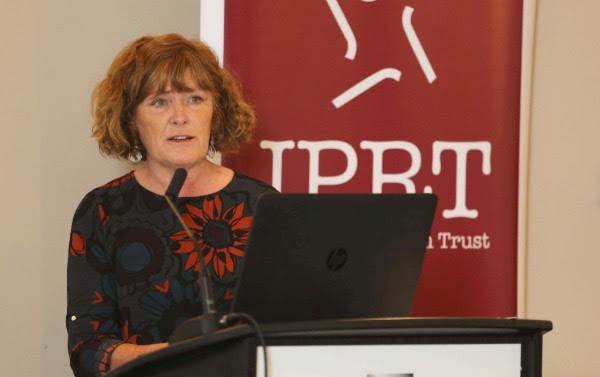 IPRT also held a seminar on 17 May in the Ashling Hotel with representatives of the Office of the Press Ombudsman (OPO) and the Broadcasting Authority of Ireland (BAI), on how prisoners can make a complaint if they feel they have been unfairly treated by the media. In attendance were those with experience of imprisonment and the organisations that support them. Bernie Grogan (Case Officer, OPO) spoke about the complaints process for when there is an alleged breach of the Code of Practice of the Press Council. She also shared examples of previous complaints by prisoners/ex-prisoners which were upheld. The OPO also provides a leaflet on how specifically they can assist prisoners. The seminar was a very useful way of building capacity for organisations dealing with prisoners and former prisoners, to recognise when the codes of practice have been broken and make complaints, with the aim of ensuring fairer treatment of prisoners in the media going forward. We will hold a further in-reach event on the same topic in Midlands Prison on 12 June. The Charities Regulator published their Report of the Consultative Panel on the Governance of Charitable Organisations on 10 May 2018. IPRT made a joint submission, along with the Bedford Row Family Project, Bray Community Association Team, Care After Prison, Cork Alliance Centre, Irish Association for the Social Integration of Offenders (IASIO), Jesuit Centre for Faith and Justice, Prisoner Aid through Community Effort (PACE), and Release Prison Partnership. However, while the points of our joint submission weren’t reflected in this report, it is hoped they will be borne in mind by the Consultative Panel going forward, as issues affecting charities dealing with prisoners and those with lived experience of imprisonment. The Joint Committee on Justice and Equality published their 2018 Report on Penal Reform and Sentencing on 21 May 2018. The report is based on a series of public meetings held in 2017 with various contributing stakeholder groups including IPRT, represented by Deputy Executive Director Fíona Ní Chinnéide and Senior Research and Policy Project Manager Michelle Martyn. The Committee focused on measures that could be taken to decrease the numbers of people being sent to prison in Ireland each year, and the report finds a ‘systematic overuse of imprisonment as punishment’, unacceptable conditions in Irish prisons, and the need to increase efforts to rehabilitate prisoners. The report takes into account a number of key issues raised by IPRT to the Oireachtas Committee, including in the areas of prison populations; alternatives to custody; children of prisoners and health and proposes, for the first time, the introduction of a cap on prison numbers. The Irish Prison Service Statistics Office published their Census of Restricted Regimes for January 2018 and April 2018 on 27 April 2018. These reports contain information on the number of prisoners on a restricted regime, meaning that their out-of-cell time is restricted to five hours or less per day. For more, read here. Here we have compiled a list of links to relevant Parliamentary Questions and Dáil debates recorded on the online resource Kildare Street: https://www.kildarestreet.com/ and the Oireachtas website at: https://www.oireachtas.ie/ Click here. Penal Reform International (PRI) has published the 2018 edition of 'Global Prison Trends'. The report explores trends in the use of imprisonment; prison populations; developments and challenges in prison management; the role of technology in criminal justice and prison systems; and the expansion of prison alternatives. In the report IPRT's work on solitary confinement and restricted regimes was recognised. Read more here. The Ministry of Justice has published an Analytical Summary examining the reoffending impact of short-term custodial and court order sentences on different groups of offenders. IPRT launched a major research study and published a discussion paper in October 2017 on the operation of community service orders as alternatives to short prison sentences in Ireland. The results of the IPRT research reflect the findings of the Analytical Summary published by the Ministry of Justice. Read more here. Annual membership is just €10 for students, €40 for individuals, €80 for organisations/firms, and free to prisoners and their families. By becoming a member of IPRT you will be expressing your support for urgent penal reform in Ireland. Why not consider becoming an IPRT member now? We have also received funding from two donor-advised funds and two project funds managed by the Community Foundation for Ireland, we were one of the awardees for the inaugural Human Rights and Equality Grants Scheme of the Irish Human Rights and Equality Commission, and we received a donation from the St. Patrick’s Cathedral Community Giving & Charitable Funds 2017.